I.T.I. Direct Mail specializes in direct mail fulfillment jobs, including bulk mail services. Our number one priority is to ensure your job is done right the first time. We pay attention to every detail, so it does not matter whether your job is a few hundred pieces or tens of thousands of pieces, with variable data on multiple pages, or a job with multiple inserts - we have you covered. Our company gives you everything you need in for bulk mail services, including hassle-free ordering and processing, simple and easy services, competitive pricing for every budget, and fast turnaround times to ensure speedy deliveries. USPS has minimums for bulk mailing standard-class or first-class presort, but with our direct mailing services you do NOT have to worry about that. We can presort any size job because we do NOT have any minimums on presorting; since we commingle our mail from all clients to eliminate such minimums. We are able to take on all size mass mailings with our bulk mail services state-of-the-art machinery. We work diligently to ensure every job is completed on time and according to specifications. Our bulk mail services have long been a favorable means of marketing to a mass audience. You can reach multiple physical businesses and homes with ease. It is easy to use our services for all types of media distribution, mail letters, postcards, booklets, brochures, newsletters or self mailers. You are able to advertise new products and services for minimum expenditures with our budget friendly bulk mail services. All you need to get started with us is your mailing lists and your mail piece. In order for any business to be successful, they must have strong, targeted mailing lists. Keep your records precise and up to date for all your customers and opt-ins so you can leverage the full capability of your bulk mailing marketing campaigns to receive maximize exposure. Call us today or check our online pricing to get started with your job. Our highly dedicated staff always makes sure that every customer order is completed on time, within budget, and according to the highest standards for USPS delivery. We are your one stop shop for all your mailing needs; do not wait any longer to take advantage of our lower postage bulk mail services! If you are looking for ways to increase your sales and reduce your postage cost, then you can consider bulk mail services to be an economically effective solution. There are many benefits for using bulk mail services including developing new leads, building a stronger customer base, and encouraging repeat business from clients. 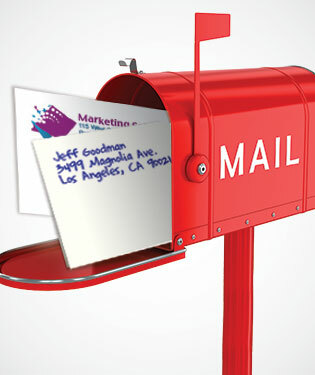 Businesses of all sizes: small to larger organizations can utilize bulk mail to increase repeat business from clients. Small to larger organizations utilize bulk mail services to reach clients, customers, distributors, vendors, leads and suppliers. If you are paying full postage rates for sending your mail, then your cost is sure to be very expensive. With our bulk mail services you pay a significantly Lower Postage rate and receive larger discounts. Our services include using private trucking companies to pick up and deliver your Standard class mail to the final processing center for the USPS. This makes your in home delivery time faster in comparison to having USPS take care of all the processing and delivery.